Do not take our word for it, get your own IPD plenum for your Porsche Cayman and take your Porsche to the next level in performance. Want the best horsepower money can buy? 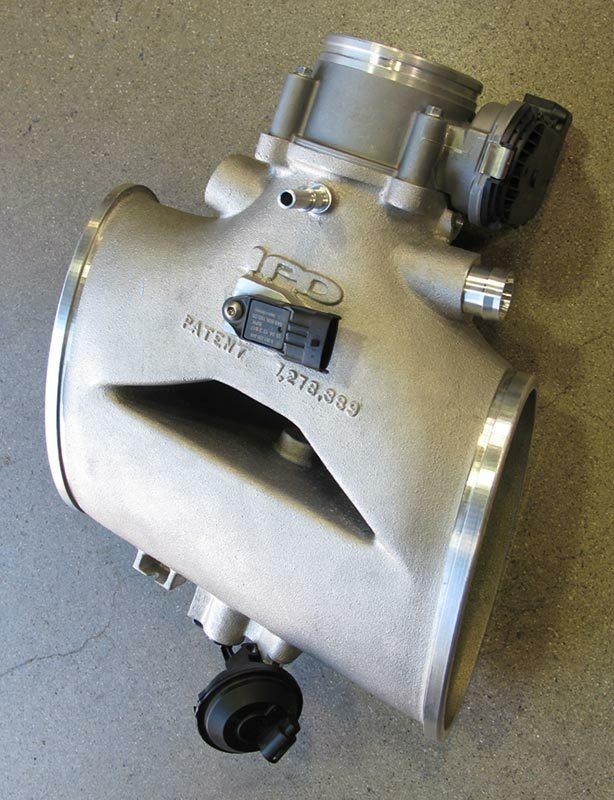 This IPD Plenum intake for your Porsche Boxster will blow you away! This IPD intake replaces your ineffective stock intake inlet. 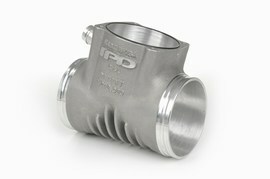 After a very extensive R & D program we are proud to launch the new 981 IPD 82mm Competition Plenums. We only offer "Competition" versions of the 981 Plenums which upgrades the factory 74mm throttle body with the larger 997 GT3 82mm throttle body. This combination has proven to be considerably more popular and deliver even more performance. This Competition version will work with both 2.7L "S" and 2.9L "Non-S" applications. Your stock Porsche Boxster intake is shaped like a T, as the air flows through it, the air hits a wall and dramatically slows down. With the patented IPD plenum, it fixes this problem, funneling the air with a Y shaped intake. 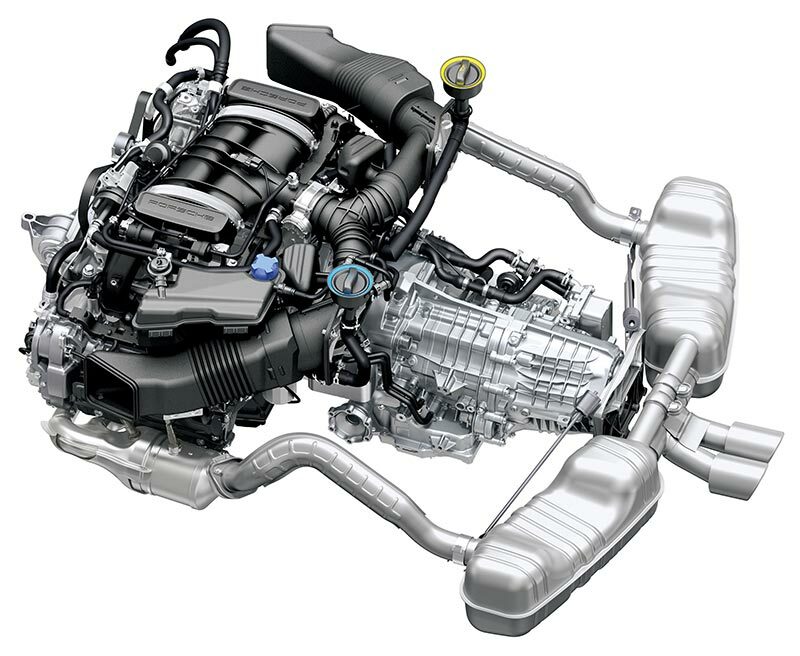 NOTE: The 981 Competition 82mm IPD Plenum requires the additional purchase of the 997 GT3 82mm TB. The 981 intake is nearly identical to the 987.2 intake. Porsche made a few upgrades with the 981, most notably being that the 981 draws outside air from both driver and passenger air intakes instead of the driver's side only as previously found with all 986, 987 and 987.2 applications. 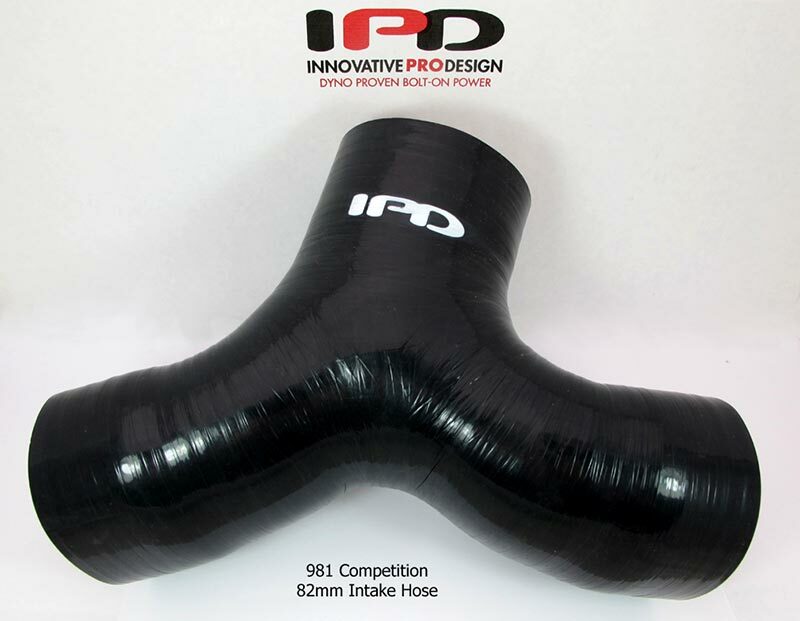 IPD has developed a custom silicone hose designed to perfectly fit the larger 82mm TB and considerably improve air flow. The new 981 Plenums also benefits from the internal dimpling effect that we are now implementing on all future Plenums. This internal dimpling allows us to control the boundary layer and maximize air flow. Just like a dimpled golf ball travels farther than a smooth golf ball. Controlled turbulent air creates less friction and "tumbles" over a given area more efficiently. Power gains with the 981 Competition Plenum are virtually the same as with the 987.2 Competition Plenum, putting down 20 horsepower and 16 foot pounds of torque at the wheels. The bulk of the power gains from the IPD Plenum begin around 4000 rpm, continues all the way through to redline and become fully realized in the 6000 rpm range. IPD performance gains stay above both factory power curves throughout the entire rev range. Don't take our word for it, get your own IPD plenum for your Porsche Boxster and take your Porsche to the next level in performance.